Rosehill College offers an incredible opportunity to rent rooms in our fantastic college. 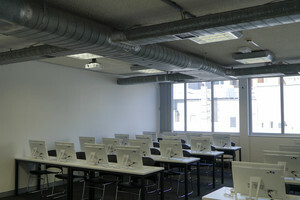 This is an extremely versatile and useful training rooms, close to Central station and all types of public transportation. All our rooms recently renovated, everything is modern, clean and suitable for all kinds of professional events. 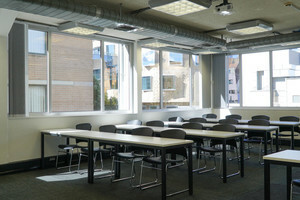 The rooms have projectors, computers (per request) and gorgeous large windows, which can be used for small group discussion, classes, setting up tea/coffee or other uses. The room is reconfigurable and versatile to match your needs. 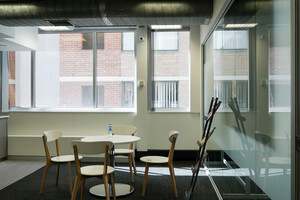 It can be set up with rows of chairs facing forward, in a large circle, around small tables, or around a large, central table. 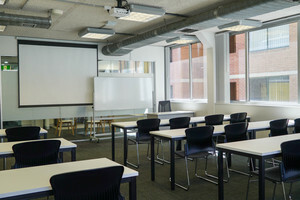 It is also possible to set the room up for training session or large meetings, such as board and executive team meetings. In addition, staff will be available to support your event. Features: •	Professional reception (staff are available to greet your clients) •	Multiple configurations available •	Wi-Fi access •	Clean, modern toilets (including disable) •	Modern kitchen facilities •	Air-conditioned •	Close to public transport •	Affordable Thai catering option •	Full computer rooms are available up to 26 people Room Hire Rates: •	Monday to Sunday (9:00am to 5:00pm) - $150 per classroom (Quote for half-day available upon request) Capacity: 30 Capacity: 26 (with computer) Remark: - No smoking (on premises) - No alcohol (on premises) - Catering only on permission - No liquid (coffee, tea, soft drink etc.) 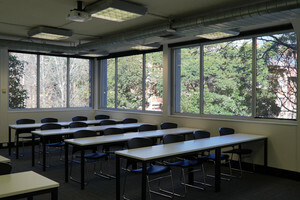 in the plant To arrange room hire, please contact us via email at info@rosehillcollege.edu.au or admin@rosehillcollege.edu.au. 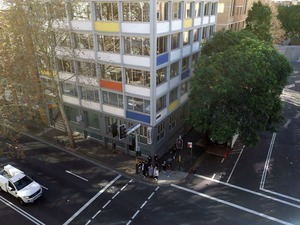 Alternatively, you can contact us via phone call 9211 1288.